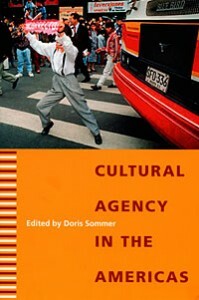 “Cultural agency” refers to a range of creative activities that contribute to society, including pedagogy, research, activism, and the arts. Focusing on the connections between creativity and social change in the Americas, this collection encourages scholars to become cultural agents by reflecting on exemplary cases and thereby making them available as inspirations for more constructive theory and more innovative practice. Creativity supports democracy because artistic, administrative, and interpretive experiments need margins of freedom that defy monolithic or authoritarian regimes. The ingenious ways in which people pry open dead-ends of even apparently intractable structures suggest that cultural studies as we know it has too often gotten stuck in critique. Intellectual responsibility can get beyond denunciation by acknowledging and nurturing the resourcefulness of common and uncommon agents.